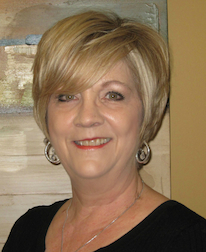 Glenda believes in continual education and strives to stay at the forefront of her field with her knowledge of new products and services available in order to provide excellent service to her clientele. She specializes in cutting edge coloring techniques, foil highlights and lowlights, color correction, gray reduction, fashion cuts, modern cuts, razor cuts, men’s cuts, kid’s cuts, styling, & special occasion hair. She stays updated on all the latest trends so that she can give you the look you want.